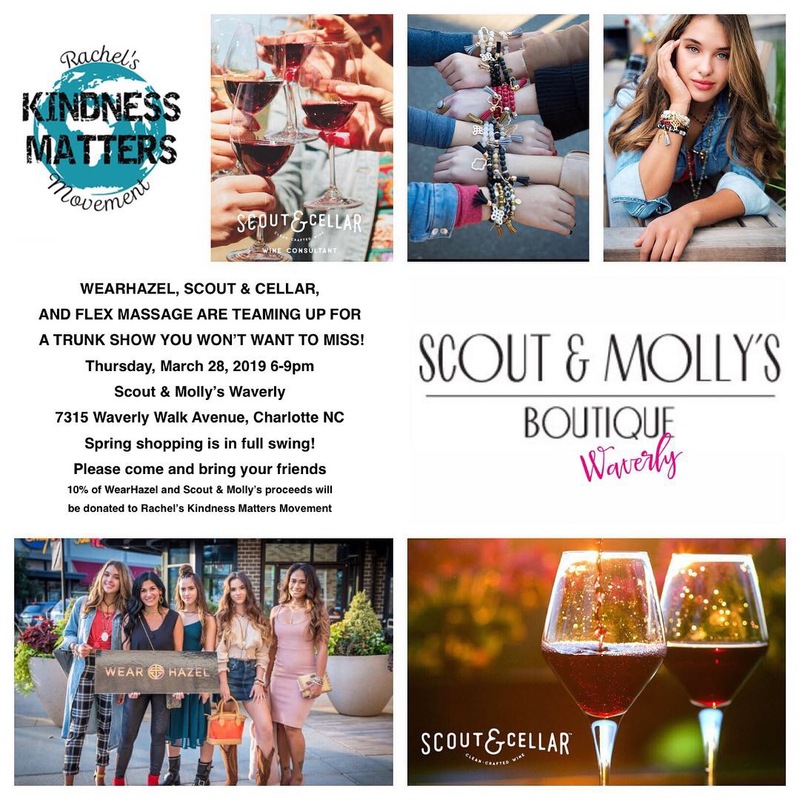 Scout & Molly’s Waverly will be teaming up with WearHazel, Scout & Cellar Wine and Flex Massage for an evening supporting the Rachel’s Kindness Matters Movement. You won’t want to miss it! 10% of Scout & Molly’s and WearHazel proceeds from the evening will be donated to Rachel’s Kindness Matters Movement. Awards humanitarian scholarships to deserving high school graduates who value kindness and community service. It will be an event you won’t want to miss! Stop in to shop, sip and support an amazing local cause!